Samsung this week announced the launch of Samsung Pay in Sweden. As one of the first banks in Sweden, SEB enables customers to add their cards into the service. “We have been preparing for a long time and I am happy that we are among the very first Swedish banks to be able to offer this solution to our customers,” says Catharina Hoffsten, mobile payment solution expert at SEB. “Today you rarely go anywhere without your mobile phone. It has become the hub in people’s everyday life and this will also be true for payments, which is the rationale behind this new solution,” says Hoffsten. The Samsung Pay solution combines new technology with old card readers, making the new payment solution widely accepted. 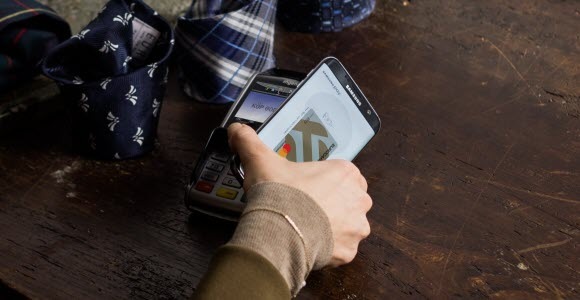 To use Samsung Pay customers need to add their cards to the wallet, and will by that receive a digital card number, a token, for each card, connected to the Samsung device that they are using. The cardholder then only has to bring his device when paying and thus can leave the card at home. From 9 March, Samsung is inviting all customers in Sweden to sign up for a so called beta version of Samsung Pay. To be able to use Samsung Pay, the customer needs a Eurocard or a Mastercard issued by SEB or its card subsidiary. The customer also needs a Samsung device (see compatible devices on the list to the right).